It’s a given that hurricanes, can be some extremely vicious storms. Florida has to put up with the possibility of hurricanes wreaking havoc for half of the calendar year (June 1st through November 30th). Fortunately, you can save quite a lot of money in damages (and possibly medical bills) along with a considerable amount of stress and time by investing in impact doors in Miami that have been manufactured and installed by NFC Aluminum. We have been in business for over 20 years and understand all aspects of safety requirements. Being local to Florida, our team has experienced the impact first-hand and that is why the research and development aspect of the manufacturing process is second to none. 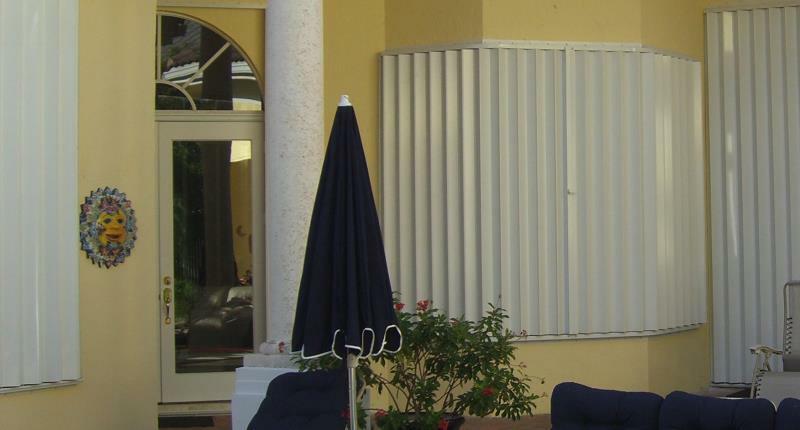 For over 20 years, our company has been providing protective impact doors and windows along with hurricane shutters and storm panels in South Florida. We know that our products must adhere to some very stringent guidelines and regulations where manufacturing, installing, and servicing impact doors in Miami are concerned. When it comes to servicing our customers we sell the same type of hurricane protection to you as what we would install in our business and homes. We care about people and understand that protecting our loved ones is priority. Our impact doors in Miami have been designed and developed to last as well as take whatever punishment Mother Nature dishes out during Hurricane season. In addition to years of lasting durability, our impact doors and windows will provide you with the peace of mind that comes from knowing that your home and everyone in it will be safe during a severe storm. Plus, you have a choice of framing materials such as aluminum, fiberglass, and wood, all of which are Florida State and county approved to withstand the force of a hurricane. Just like our impact windows, our impact doors in Miami are fully customizable and extremely durable. One of the biggest benefits is that these doors make a nice addition to any home, even if it isn’t hurricane season. Furthermore, they add value to your home and in most cases, your insurance company will give you a discount for installing them as a safety and security feature. Plus, you also benefit from their energy-efficient qualities. They keep the cool air from escaping in summer and the warm air from escaping during winter. With a layer of polyvinyl in between the exterior and interior glass, our impact doors in Miami can withstand Category 5 hurricane winds of up to 150 mph or more. Additionally, they can easily withstand a debris impact that is equivalent a 2×4 hitting the glass at a speed of 50 feet per second. The polyvinyl holds the glass panes together and keeps them from shattering which means you and your family members will not get injured by flying shards of glass while keeping debris and water from entering your home’s interior. From the standpoint of home security, impact doors in Miami prevent intruders from breaking into your home and burglarizing or vandalizing your assets and valuables. Not only that, but you and your family will feel safer with these types of doors (and windows) installed. There’s no need to worry about fabrics and furniture fading as our impact doors block out almost 100% of the sun’s harmful UV rays, which by the way is not good for your skin either. Finally, they help to reduce noise pollution. As Florida’s premier manufacturer and installer of hurricane shutters, impact doors and windows, and storm panels, NFC Aluminum has built their reputation on attention to detail, prompt service, and quality workmanship. But most importantly, we have built our business around the many customers we have served since establishing our business. Why not contact us today and schedule an appointment for an estimate?